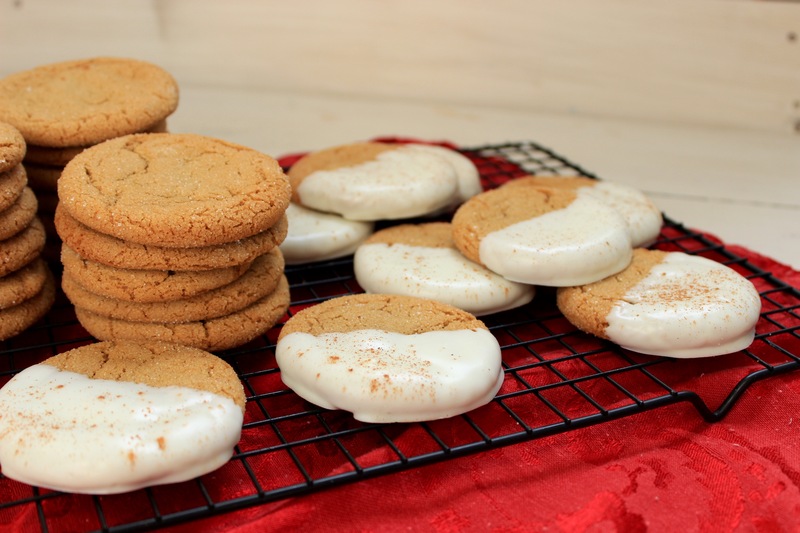 Today I’m sharing a cookie recipe because life is always better with fresh baked cookies! (and ice cold milk) If you don’t believe me, just ask any boy under the age of 13 and any young man over the age of 12 and the answer will be the same. 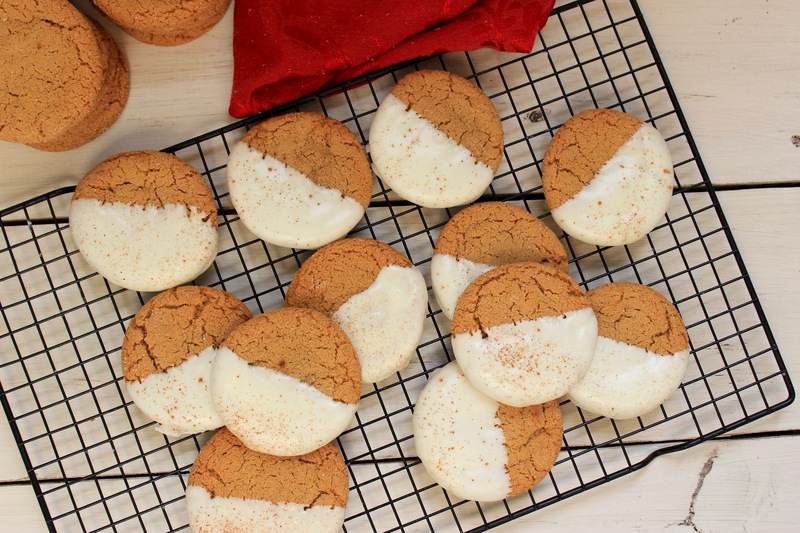 Dipped Gingersnaps are too good to only make over the Holidays so we bake these all year long. I made these for an event a few weeks ago and Stan liked them so much he didn’t give me the option of not blogging them. Haha. If I remember right, I do believe the recipe comes from his sweet mama so maybe there’s something nostalgic about them too. 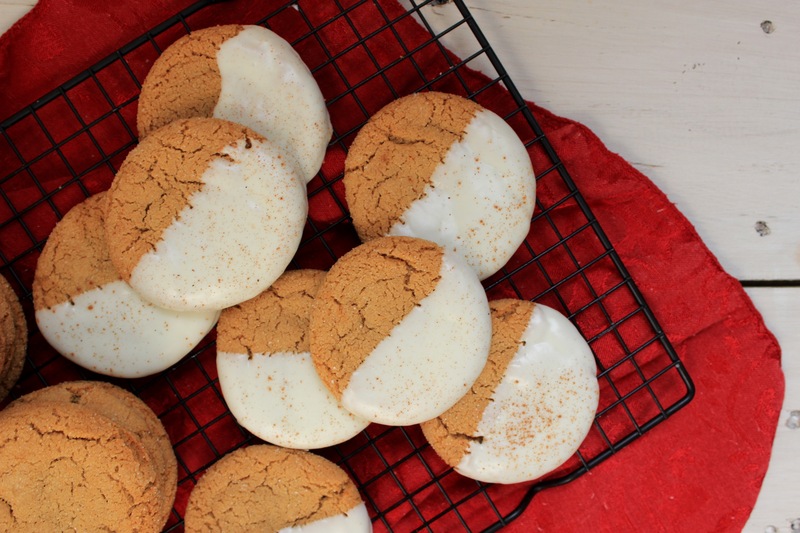 Whatever the case, there’s not much better than a chewy cookie. You’re man will love you for these! So give ’em a try. Preheat oven to 350°. In large mixing bowl, beat sugar and oil. Add eggs and molasses. Beat until just combined. Slowly add dry ingredients. Shape into tbsp sized balls and roll into additional white sugar. (If dough is too sticky to work with, refrigerate for 30 minutes) Place onto greased baking pan and bake in preheated oven for 10-11 minutes. Remove to cooling rack.